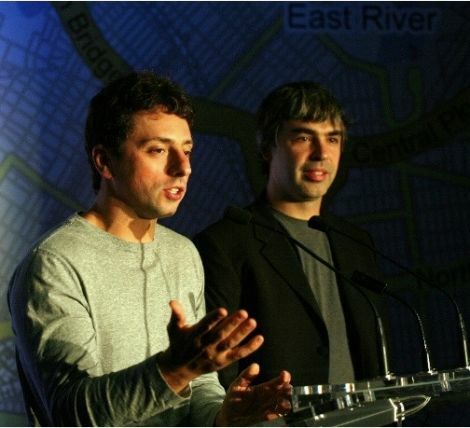 "They do this about once a year," Google's nonchalant CEO said of the Microsoft search engine last week. It seemed like he protested too much, and no wonder: Brin is "rattled" by Bing and is personally leading a "team of search-engine specialists in an effort to determine how Bing's crucial search algorithm differs from" Google's, reports the New York Post. Meanwhile, co-founder Page says he's been prodding his skeptical search team to become more competitive with Twitter (see video below). After layoffs and belt-tightening, it would seem Google is embracing a certain spirit of insecurity, at least at the top. The company should hope this filters down to its more entitled troops; canceling that Disneyland trip is looking like a step in the right direction.